Footy Fundamentals is a carefully planned and structured AFL program, which encourages your active two – five year old to develop their fundamental movement skills in a fun and safe environment, incorporating AFL Football, using multisport equipment. 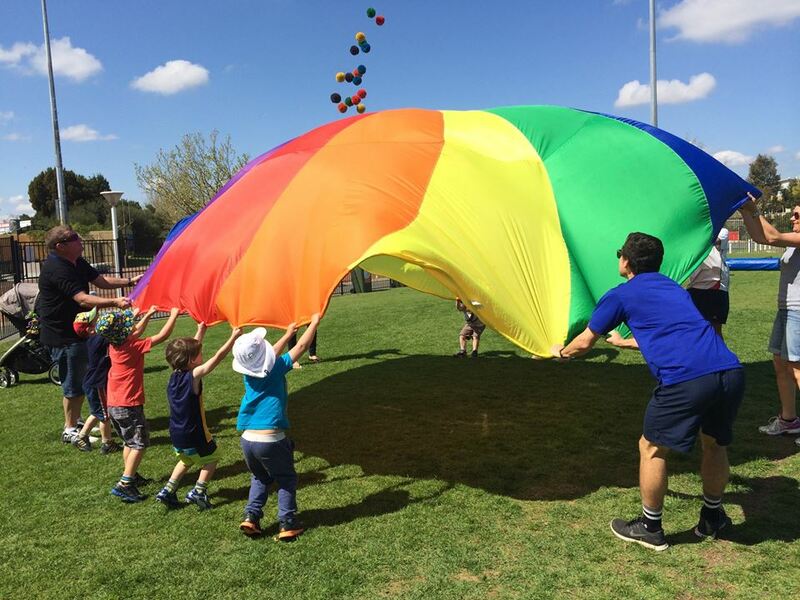 Each week, children will focus on one or a set of movement skills, and play fun team-work based games. Active parent involvement is required in all of our pre-Auskick AFL programs. Research has shown that active parents help support a healthy and active lifestyle for children. Footy Fundamentals was launched in 2013 with the aim to build fundamental movement skills in children aged 2 years to 5 years. Football is an Australian way of life, is a lifestyle for many parents and a sense of joy for children growing up in local back yards across Perth’s. Footy Fundamentals is offered each school term as a seven week program at various locations around Perth for the progressive age groups 2-3years, 3-4years and 4-5years. Fundamental Movement Skills are patterns of movement that involve different body parts such as the legs, arms, trunk and head and include skills such as running, hopping, catching, throwing, striking and balancing. These skills are the foundation movements to more specialised, complex skills used in kids games, sports, dance and every day activities. Footy Fundamentals is the only Western Australian approved pre-Auskick and Fundamental Movement skills program approved by the AFL and WA Football Commission. Footy Fundamentals aims to prepare our kids for the future. Our program is expanding across metropolitan Perth and now includes classes in the following locations: Alkimos, Claremont, Dianella, Joondalup, North Fremantle & Warwick. Each week, toddlers will focus on one or a set of movement skills, and play fun team-work based games that incorporate these skills. 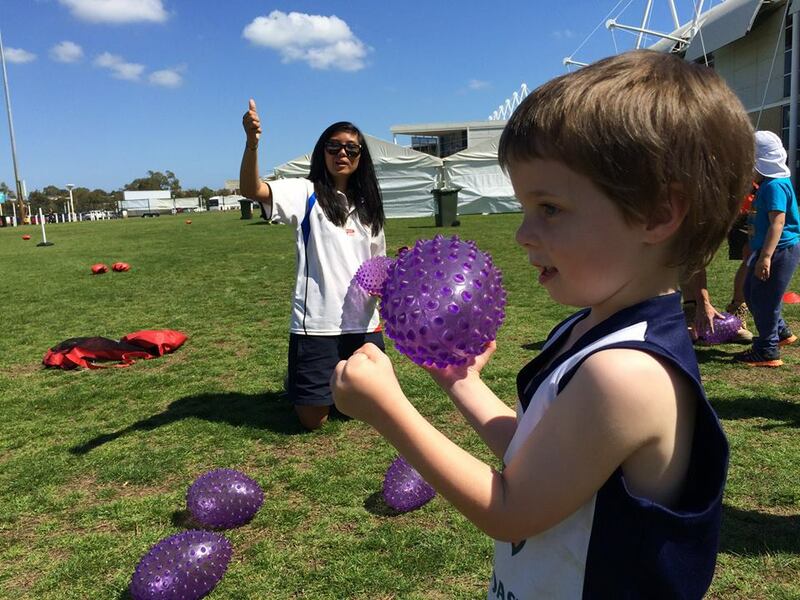 Footy Fundamentals is a carefully planned and structured toddler AFL program, which encourages your active toddlers to develop their fundamental movement skills in an AFL environment, using AFL equipment. Copyright © 2019 Footy Fundamentals. All Rights Reserved.